On the path to becoming a GCA Horticulture Judge, workshops, lectures and reading are necessary. 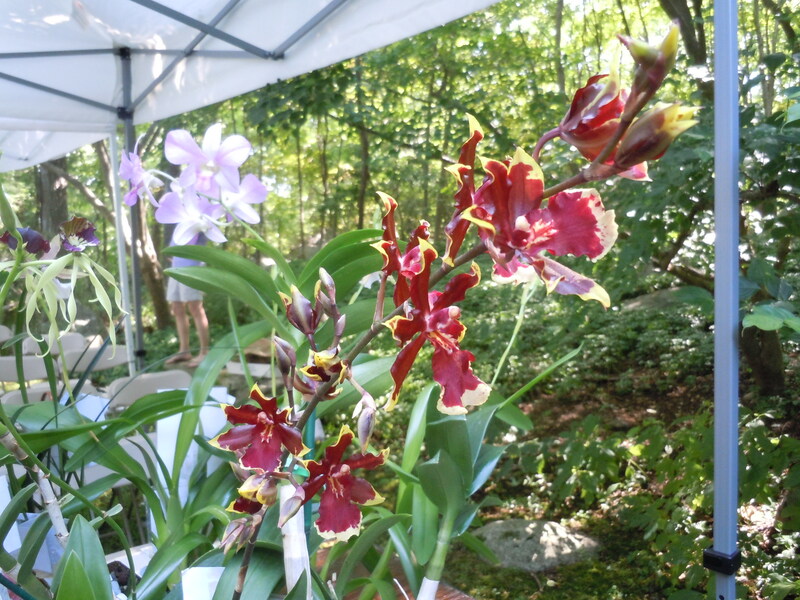 So on Saturday, I attended Orchid Culture Day at J & L Orchids in Easton CT. 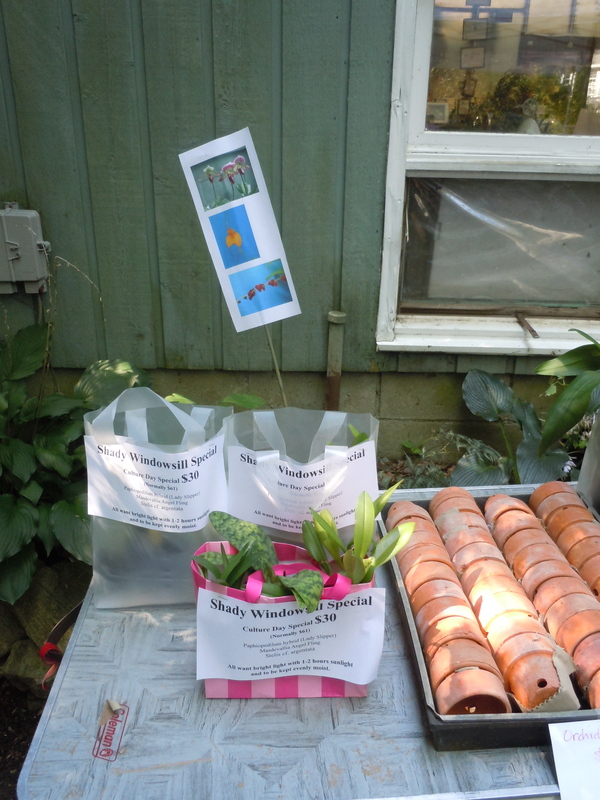 Previous posts have described my lack of success in the world of orchids, but the will to succeed was furthered during this day long workshop. 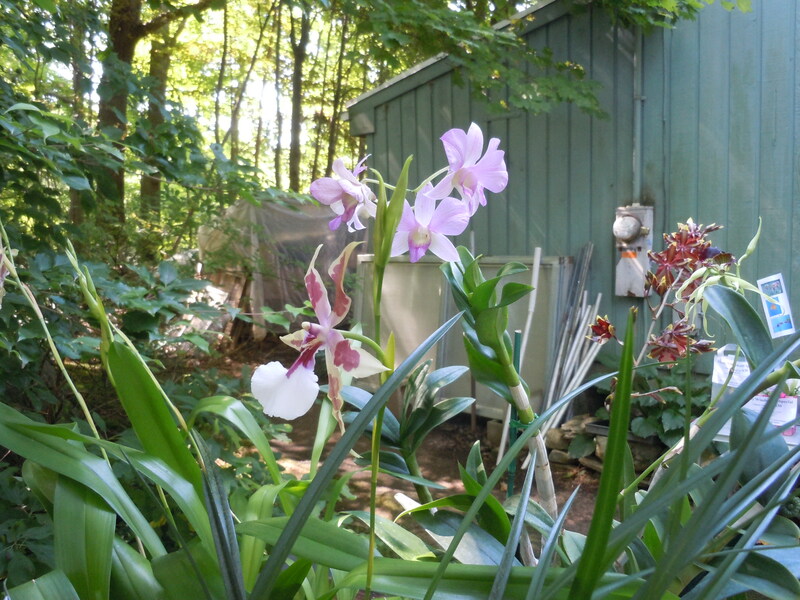 The three women who co-own this gem tucked in the woods of Connecticut offer decades of combined knowledge and their joy of orchids is infectious. Of course I came home with more orchids! I have 11 phaelenopsis summering on the deck which I have been dutifully fertilizing, and watering as directed. I have three miniature orchids on an Eastern windowsill (one from son in Santa Fe) that have been getting equally good care, sitting on pebble tray. Only ONE came back into bloom last Winter, but with my new found interest and knowledge, I am hoping for better success this year. Paphiopedilum (Lady Slipper), Masdevallia Angel Fling, and Stelis cf. Argentata came home with me, so there are now 2 dozen orchids to care for! The ladies at J & L rue the advent of the big box mentality, with orchids readily available at your local Home Depot or grocery store. But let’s face it, those plants have not had the best of care along the way. You may or may not get the months long bloom one can expect from a well grown and well cared for orchid. The advantage is, like cut flowers from a florist, they are readily available and cheap. They have their purpose. But if you want to delve deeper into this fascinating world, I recommend a visit to J & L! 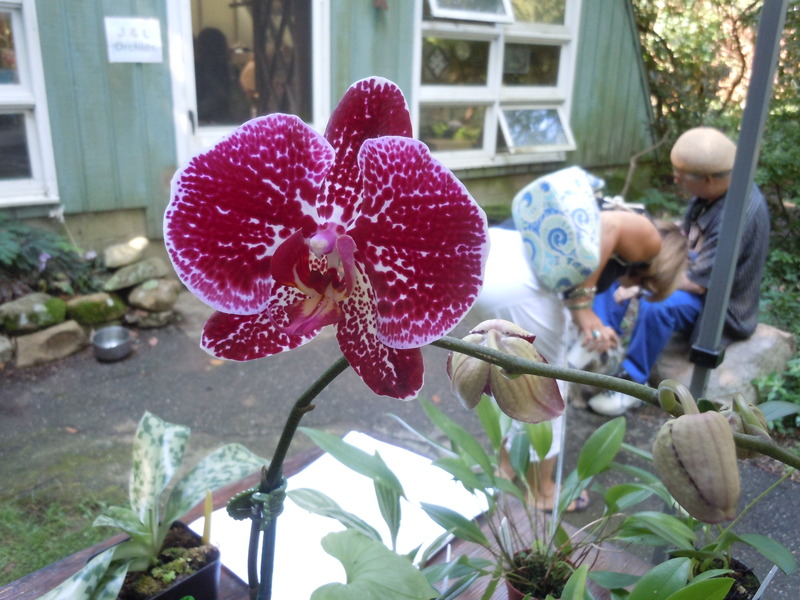 This entry was posted in Uncategorized and tagged J & L Orchids, orchids. Bookmark the permalink. The orchids look lovely and I can understand your fascination with them – I am ashamed to say I have never owned an orchid – after seeing your pictures I am beginning to think I should. Elaine, I have been very frustrated with orchids, but I think I have not spent the time to learn what I have been doing wrong! I havent given up yet! As you may have surmised by now, I am not a gardener. Not by choice, by talent – I have none!! Particularly with orchids! I can’t tell you how many times I have tried – and mine have occasionally lasted for several months but no more. I’m sure you will succeed this time ’round – good luck! !